Hours of fun are to be had with these bright and colourful stencil create-a-scene books. Children can decorate the colouring pages with the stickers and stencil designs included. With gorgeous illustrations to engage young minds by Liz and Kate Pope. 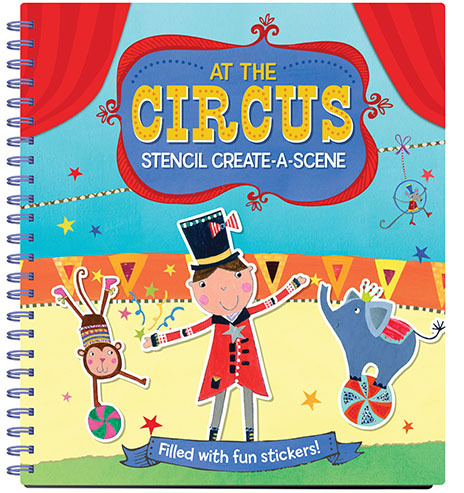 Use the stencils and stickers inside to create your own scenes at the circus! Filled with fun stickers, circus stencils and sketch pages. 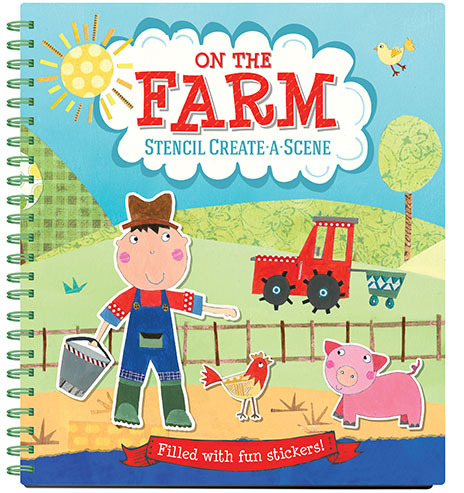 Use the stencils and stickers inside to create your own scenes on the farm! Filled with fun stickers, farm stencils and sketch pages.